The 2014 Town & Legislative Breakfast for Capital Community College (CCC) will be held on Thursday, February 20th, at the Legislative Office Building’s Dining Room, 300 Capitol Avenue. 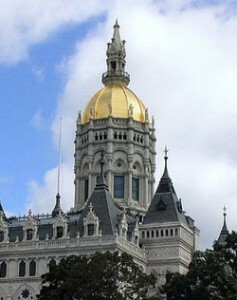 Legislators in CCC’s primary service area and town officials have been invited and will join President Wilfredo Nieves and members of the College’s Foundation & Advisory Council in a discussion of current legislation, policies and budgets and their impact on Hartford’s community college. The program will include information on Capital’s current student and career success initiatives aimed at reducing achievement gaps and the use of $3.5 million in federal grants received over the last two years to establish new programs linked to employment, internships and expanding services to veterans and displaced workers. Officials will also discuss Transform 2020 — the statewide initiative for CT’s community colleges and state universities. Transform 2020’s goals are to establish a long-term tuition model to help plan for the cost of college, improve student retention rates and increase enrollment through new initiatives such as “Go Back to Get Ahead”, which targets residents seeking to complete degrees. The breakfast will be held from 7:30 to 9:30 a.m. with a program and discussion planned for 8:15 a.m. For more information contact the College’s Advancement office, 860-906-5102 or E-mail jmcnamara@capitalcc.edu . Seating is limited and RSVPs are required. The breakfast is sponsored by the CCC Foundation & Advisory Council. This entry was posted in Events, Grants, Workforce Development and tagged Legislative Breakfast for Capital Community College. Bookmark the permalink.